Michigan Shia Muslims Invade the Logan’s Warning Facebook Page! Not so much these days, but ever since 911 I have been told Muslims in America are different from everywhere else. Like this is the one magical country they would not try and takeover. Like this is the one magical country they would not try to mislead on Islam. Marauding Muslims of Michigan! ~ Arrests and the Trials ~ A United West Exclusive Video! When I first started speaking about against Islam over a decade ago, I put a lot of my focus on what was happening with Islam in Europe. Specifically the UK. The reason being that outside of 911, things were much worse in the UK with Muslims than here back then. Muslims in the UK were not hiding their agenda of an Islamic takeover, clearly and fiercely showing that their allegiance lies with Islam over the country that was gracious enough to take them in. That there is my point about Muslim immigration. It does not bring in a group of people who want to assimilate, it brings in Islam! Last November I wrote about the University of Michigan putting out a call for physicians to accommodate Islamic Law, and approximately 30 days later, John Benitez Jr, a male nurse in Michigan was fired for treating Muslim women. Of course, no matter how much Islam appeasing non-Muslims do, it is never enough. So now Muslims at the University of Michigan are following in the footsteps of Northwestern University, and are preparing to appoint the university’s first Muslim chaplain. They even raised over 25K to pay for the IslamoBULLY’s first year’s salary, and bulling is exactly what the chaplain will do. Expect even more demands to follow…. The behavior of Muslims today verified a key point made by Pastor Jones. Additionally, the Mayor of Dearborn, Michigan has lined up to march in step with Dearborn’s pro-Islamic procession. The procession is led by the powerhouse coalition which includes the Detroit Archbishop, Dearborn Police Chief Haddad, and Assistant Prosecutor Robert Moran. Detroit Archbishop, Dearborn Police Chief Haddad, & Assistant Prosecutor Robert Moran Bow to Islam! In the wake of the recent persecution of Pastor Terry Jones, I would like to take a look at the surrounding players and their pro-Islamic, anti-American actions. First we will start off with another weak Christian “leader”, the Detroit Archbishop Allen H. Vigneron. 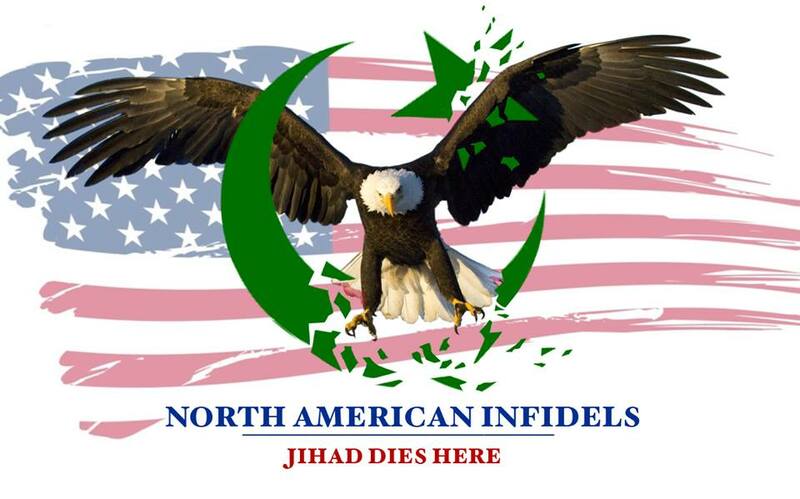 Islamic Victory in Michigan ~ Pastor Jones Barred From Going NEAR Mosque! Instead of pointing the finger of blame on Islam where it belongs. The prosecutor and judge took the easy way out and went after Pastor Jones! Where is the Christian outrage?! Slowly but surely, inch by inch, step by step, Islam is moving forward here in America. A country that Islam is the antithesis is of Islam. Yet because of the weakness in our freedoms, Islam advances. If some rules do not change, like ending Muslim immigration, it is just a matter of time until Muslims takeover. Today we are losing this war, all within the law. It is up to us to change things. The beat goes on is the proper term for the arrest of this Muslim singer. The continued beat is that of the threat of Islam in America getting stronger and stronger. Besides what is mentioned in the article below, I called this school today. I asked them if the students were at least suspended for their atrocious behavior. They asked if I was a parent of a student at the school. When I responded no, the woman said that she could not disclose that information. She asked that if I was a parent of one of the students would I want that information made public? I responded that since the issue made the public, and do to the serious nature of the issue and the worldwide threat of Islamic terrorism, the public does have a right to know. She then hung up. I bet that it is safe to say that she did not want to hear a word about Islam. Unfortunately far too many people wish to remain purposely blind to this threat.